Valentine's Day... It seems like people either love it or hate it. On one hand it's a manufactured holiday made to sell cards and candy, but on the other hand it's a holiday about eating candy! My husband and I don't really make a big deal of it which is fine with me. Our anniversary happens to be three days later so we're going to just smush the two together and call it good. 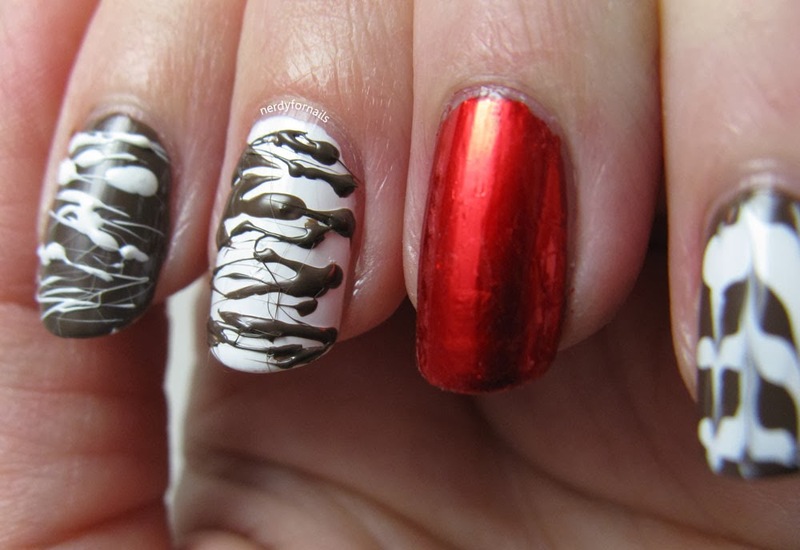 I did some festive candy nails to get in the Valentine's spirit. I did the spun sugar technique (my first time ever) to make yummy white and milk chocolate drizzles using Spoiled, Pumping Gas and LA Colors, white. 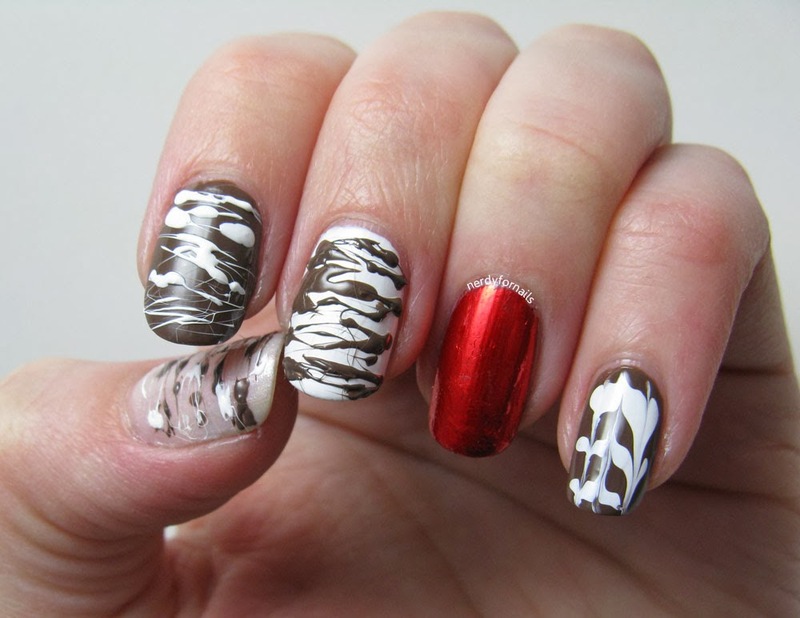 I used the same two colors for the marbled chocolate bark on my pinkie. 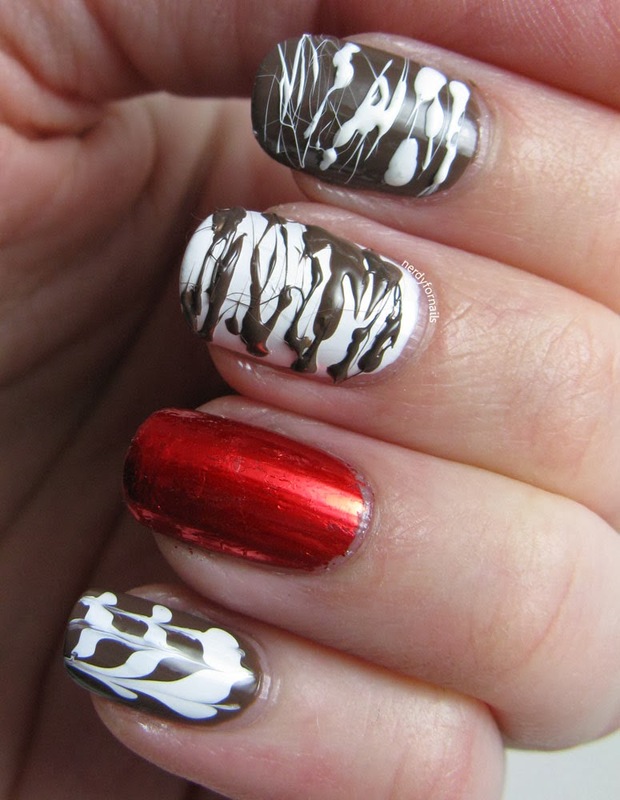 I painted a thick coat of my brown polish and then drew horizontal lines of white and drug the tip of a small nail art brush through the still wet polish to create this dry marble. 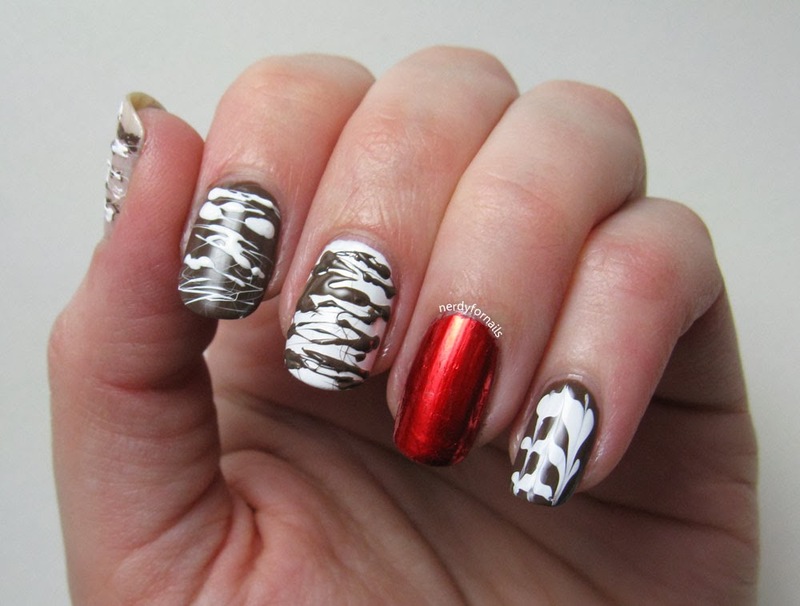 My ring finger is a foil wrapped chocolate which I made with Lipstick Red nail foil from Dollar Nail Art. They really did look good enough to eat.